Having tried Pilates before and not even working up a sweat I quickly got bored and went back to more sweat inducing exercises like spinning and running. But when I was invited to try out a Pilates reformer class at Ten Pilates new studio near Farringdon I was in for a shock. It should have come with a warning – that I’d leave aching all over. Pilates reformers is performed on a board, with different springs, loops for your arms and legs and other exercise equipment around it to help you get that perky bum, toned abs and slender legs that you’ve always wanted. We started by stretching our legs up holding a ring with our hands and placing both feet in it, to stretch the back of our legs – in hindsight this was probably for all the strenuous squats we’d be doing later. We then went on to warm up our glutes and legs which involved us lying on the board, with our feet up on the bar and pushing away from it – almost like a lying down squat, which really doesn’t make them any easier. After a few other warm up exercises we looped our legs into the long straps and the fun really began. Now this is where you realise why celebs like Jennifer Aniston have amazing figures – with our legs up in the air – almost in the stirrup like straps we rotated them from a 90 degree angle in both directions several times. Reading about it doesn’t sound hard – but believe me my glutes were wondering why I was being so mean to them. Changing the springs, we then went on to do various squats and even more glute conditioning exercises, a couple of abs exercises and some warm down stretches – to the point where muscles I didn’t even know I had started to ache. 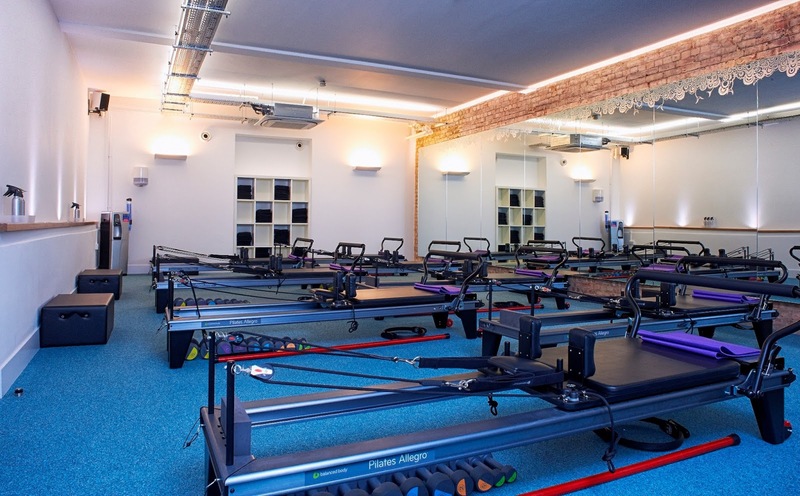 The studio houses 9 reformer beds in a light and airy room with instructors which really know what they’re doing. So if you’re looking for something new, or want to get a body like a celeb, just in time for, well the summer which we all hope will arrive, then get yourself down to a Ten Pilates studio. Next Post Half marathon: 2 weeks to go….